More mental health news in your mailbox? Weekly tips and tricks to improve your skills and therapy private practice. FREE! Living with anxiety and depression can be overwhelming and daunting. 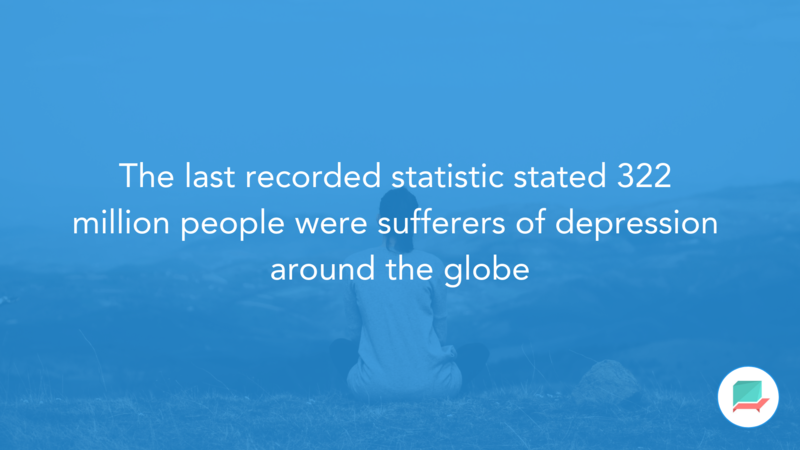 Anxiety and depression are one of the leading mental health conditions, with over 1M taking their lives each year from depressive states and 1 in 13 people globally suffering anxiety (World Health Organization). In the last few years, research efforts have been ramped up, resulting in a set of proven tools that will help sufferers to fight back. Journaling has become one of the many outlets for people to express their emotions and feelings, and has been adopted by therapists around the globe looking to create an interactive treatment plan with actionable results. A variety of studies show that journaling has been one of the most effective ways to address conditions like anxiety and depression. But what is the science backing journaling and its methods? And what does journaling involve? Journaling is the act of expressive writing. Journaling is a written exercise that allows people to express their emotions and feelings in a written format. This has been practiced for many thousands of years and has been effective in helping sufferers of anxiety to alleviate symptoms. In terms of brain activity, there has been many insights into what happens when your brain is involved in journaling. 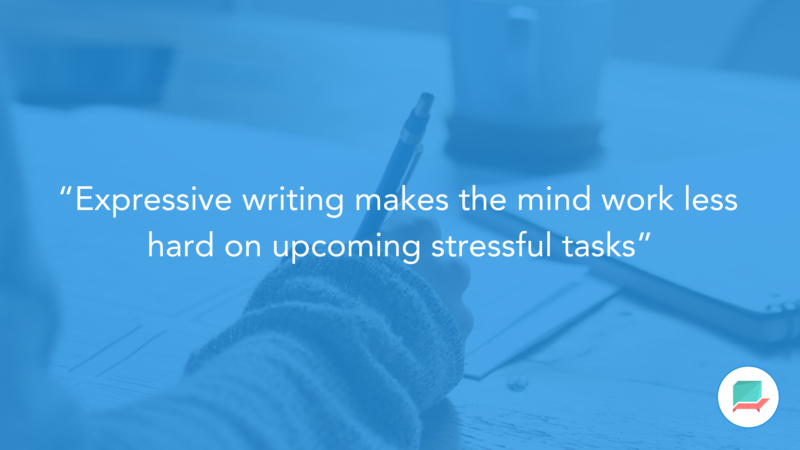 UCLA psychologists conducted research into this and how expressive writing associated with journaling can improve cognitive functions and improve anxiety. The study looked into the brain imaging of people during journal therapy. Their research revealed that association of written words help to make an experience or trauma less intense. During the test, patients were shown an angry face, which in turn caused a region of the brain called the amygdala to increase in activity. The amygdala is used to activate alarms in your body to protect yourself. Even when the people were shown these same images subliminally, their amygdala responded. But once candidates in the study began to associate words directly with the images, their brain’s emotional reaction is reduced. There is a reduced response from the amygdala and you begin to activate the prefrontal region of the brain. Researcher and professor, Matthew D. Lieberman of UCLA rounded this off well by stating this process is “In the same way you hit the brake when you’re driving when you see a yellow light, when you put feelings into words, you seem to be hitting the break on your emotional responses.” Each time you journal, your brain’s reaction can be less intense making it easier to express important or trapped feelings that can lead to better treatment. Another similar study looked into the chronic worriers and how journaling supported their condition. The researchers, Michigan State and researcher Jason Moser, associate professor of psychology were taking lead. During their study, they measured the brain’s activity as chronic worriers addressed their emotions through expressive writing. The study was conducted on college students who all were highlighted to have a form of chronic anxiousness. Students were split into two groups and asked to completed a “flanker task” in an attempt to measure their accuracy and speed. The first group, before the task, had to write about their “deepest thoughts and feelings” about the upcoming flanker task for a total of 8 minutes, whilst the other group wrote about what they did the day before. Whilst the speed and accuracy of the flanker task performed equally for both groups. The group who were tasked with expressive writing delivered more efficient results and used “fewer brain resources”, this was measured using an EEG during the study. Journaling has been used for many centuries as a way to reduce anxiety and depression, but the real research has only been conducted into this over the last 10 years. Studies of all kinds has supported that journaling doesn’t just address any conditions with the mind. There have been many physical benefits of people. Some include; boosting immune functions, improved health outcomes, brain’s working memory, and much more. Why is Journaling Becoming Popular? Journaling has become an effective tool for many people but the awareness of this therapy has been on the rise for many years. This has been for many reasons. The first is word-of-mouth, many journal users tend to express the way that journaling has helped them through social media and face-to-face conversations and thanks to the awareness and focus on mental health in 2018, there has been more people open to trying something new. Other ways that journaling has risen to power has been the Bullet Journal movement. 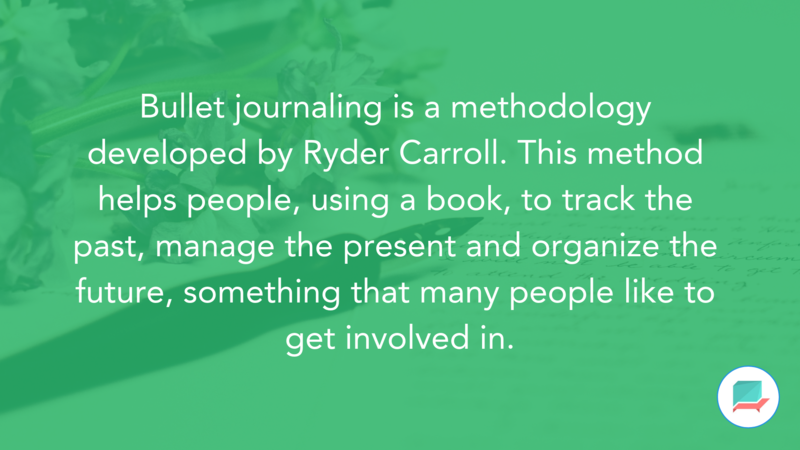 Bullet journaling is a methodology developed by Ryder Carroll. This method helps people, using a book, to track the past, manage the present and organize the future, something that many people like to get involved in. But the one option is the ability to add your own journaling process within this to help begin a track of your emotions and feelings, like a diary. Due to the widespread success, journaling has become even more accessible using methods like this. Millions of people have videos and tutorials on how they use a BuJo (Bullet Journal). The final way that journaling has become a popular method has been the fact that therapists are now recommending this more often, above the likes of meditation, thanks to the extensive research available to endorse the act of expressive therapy like this. How does it compare to Meditation? In previous studies conducted by the UCLA research team at the start of this article, showcased that mindfulness meditation is effective in reducing a variety of chronic pain conditions, skin diseases, stress-related health conditions and ailments like this. But thanks to recent exploratory research into expressive writing versus meditation practices, it has been clear that journaling has much stronger roots in research for it to be the highly recommended methodology to include in addressing mental health concerns. Many therapists and counsellors around the globe are re-considering the amount of expressive writing therapy that they are introducing into sessions and even the balance of mindfulness practices against writing like this. Meditation is an effective solution, but not as effective as journaling. 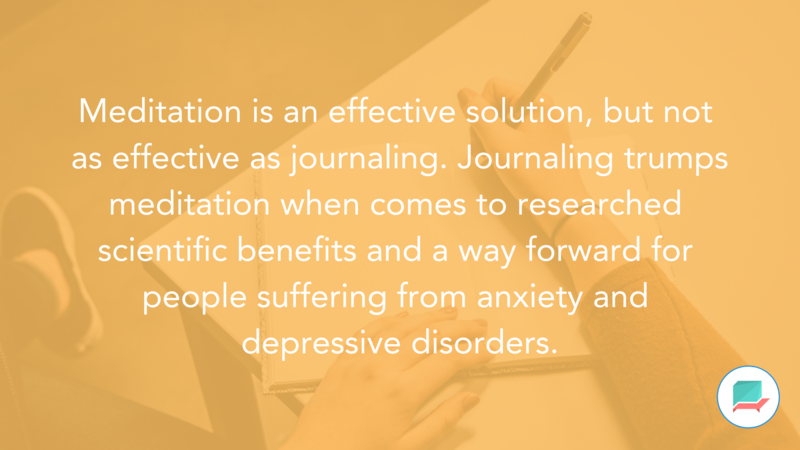 Journaling trumps meditation when comes to researched scientific benefits and a way forward for people suffering from anxiety and depressive disorders. You can read all about the scientific limitations to meditation here. Thanks for reading along today! Feel free to comment with your own opinions on journaling. Has it helped you to address your mental health concerns? Or do you do it every day? Journaling vs Meditation: What Does the Science Say? There’s no doubt you’ve heard of the many benefits of meditation already. We’ve catalogued many of ways meditation can help, including how it can reduce feelings of anxiety for mental health sufferers and discussed why people decide to embark on the meditation journey as part of their daily routines and habits. But meditation isn’t going to solve all of your woes, and, with all things, there are limitations to meditation. Many of those are scientific limitations. When comparing meditation to other methods recommended by therapists and counsellors, meditation doesn’t fight its corner as well. What is Meditation? And why do we do it? Before we begin, let’s get a recap on the historical story of mediation. The practice of meditation has been active for centuries now. With the first recorded practice dating back to 1500 BC, from the Hindu traditions of Vedantism. The Vegas called this practice by “Dhyana” and it was blended into their lives. The tradition was adopted and shaped by many religions at the time, ranging from Taoist China and Buddhist India with different approaches on the process of meditation. 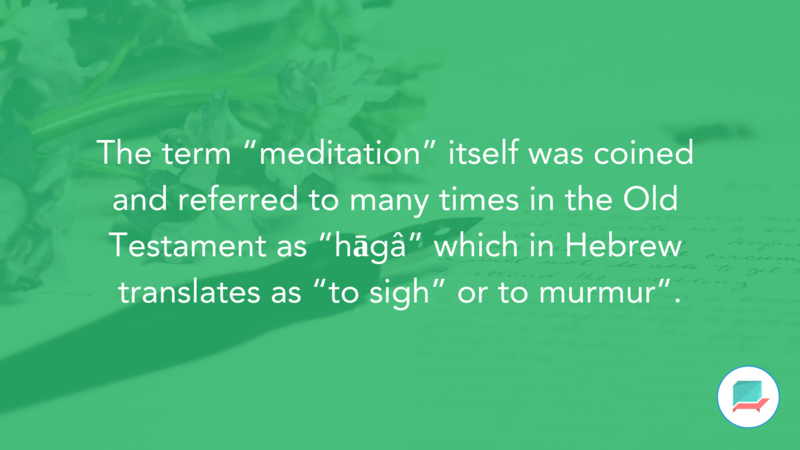 The term “meditation” itself was coined and referred to many times in the Old Testament as “hāgâ” which in Hebrew translates as “to sigh” or to murmur”. The Latin Bible then translated “hāgâ” into “meditatio” where a 12th-century monk, Guigo the second, who endorsed this. The extensive history of meditation has been documented very well on this article here. Both non-guided and guided meditation have become habits in our workplace and personal lives now, all around the globe. With retreats, seminars, classes and endless YouTube videos about how to optimise your meditation. Meditation has slowly become a part of our modern, 21-century lives. With the last recorded figure at 18,000,000 US adults (8% of the entire population in 2012) who meditate as part of their routine, there’s no escaping the fact that meditation is on the rise. Meditation has helped many millions of people cope with tragic losses, stressful periods, anxiety, stress and a variety of life situations without a doubt and the practice should be respected as an effective way to assist in treatment of anxiety, stress and many other mental health conditions. But how much has meditation been proven by scientists? And how does it rival practices like therapeutic journaling? Research into mindfulness practices has provided weaker sets of data. According to research into the mindfulness-based interventions, results showed that “only 9% of research” had been “tested in clinical trials that included a control group”. The lack of control groups causes concerns, this is something many scientists and researchers like to see when comparing the credibility of research. Don’t get me wrong, there is research out there to support mindfulness practices as being a viable method for coping with anxiety and other similar mental health conditions, however, there’s meta-analysis to prove otherwise. Prominent psychologists spanning across 15 established universities in the US, have concluded that studies on mindfulness and meditation are poorly designed. The reasoning behind this lack of definition of mindfulness activity combined with the lacking of control groups to rule out elements like placebos. The research studies that involved control groups, and acknowledged the placebo effects showcases moderate effect to the control group, with data pointing to stress being the most addressed condition. An insight from this shows that mindfulness research right now lacks the supporting evidence it needs to be a leading recommendation, whereas, the likes of therapeutic writing has been thriving in studies posted recently. Both of these practices, meditation and therapeutic journaling or writing, have been endorsed by therapists for many years now. Both deliver positive results when it comes to treatment and have a lot of practical value as part of a daily routine. When it comes to research, however, therapeutic writing cleans up. With extensive research providing more than double the amount of studies done on therapeutic writing since 2010. But what is therapeutic writing? And what is involved in the practice? Therapeutic writing, also known as writing therapy, is used as a form of expressive therapy. The writing is the act of writing and processing expressive thoughts into written words. It’s proven to directly impact both physical and psychological health. The practice has been proven, time and time again, to be effective at reducing symptoms of mental health conditions. Not many people compare the likes of meditation and therapeutic writing as competitive recommendations. Writing about traumatic experiences, memories, thoughts and the events of the day is one of the most reflective ways to absorb and ponder on your actions surrounding each event. This form of expressive writing can be used as an individual or as a group, but is traditionally recommended as a piece of homework or activity during therapy treatments. 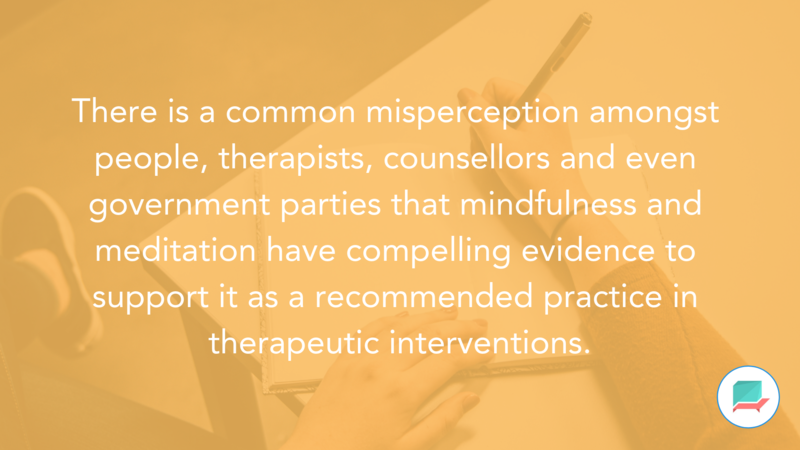 There is a common misperception amongst people, therapists, counsellors and even government parties that mindfulness and meditation have compelling evidence to support it as a recommended practice in therapeutic interventions. The extensive research into this has showcased that the disclosure about stressful or traumatic events can actually improve physical and psychological well being. (Pennebaker, 1989, 1993; Smyth, 1996). Further research, conducted by universities of Michigan & South Carolina (2013), shares the significant decreases in depression scores in an experimental group over 5 days into the research program. Scores were conducted by the formalised questionnaire sheet known as the Beck Depression Inventory & Patient Health Questionnaire Score. During the research study, the group average dropped to 9 points on the BDI and over 5 points on the PHQ, which were significant changes to the control group. After the study, participants remarked about feeling better and on the final day, one participant even wrote about how much better she felt in her therapeutic journaling session. This is what we typically hear with Therachat users. These are a few a of the ways that therapeutic writing has been able to address both psychological and physical symptoms. Many therapists and counselors around the globe are re-considering the amount of expressive writing therapy that they are introducing into sessions and even the balance of mindfulness practices against writing like this. With an extensive list of research and a backing from many credible studies, therapeutic writing addresses many of the widely known issues associated with mental health conditions. Does Meditation Challenge Therapeutic Writing? Meditation currently as a mindfulness practice doesn’t have enough supportive research data and studies to suggest it is better than therapeutic writing. We see this from the amount of research pieces posted in the last 10 years. Despite, its current popularity in the western society, when it comes to the ground data on these, writing trumps meditation. Therapeutic writing has plenty of compelling evidence, insightful benefits and symptom addressing abilities if conducted during treatment or individually outside of treatment. If you’re brand new to therapeutic writing, you can get started instantly with Therachat, a way to get started with expressive writing for your own needs. Let us know in the comments how you compare meditation and expressive writing? We’d love to hear which one worked for you. Anxiety is one of the most common disorders of mental health. Year to year, depression and anxiety combined, affect a massive 40% of the world’s population suffering from a disability. (World Health Organization, 2002). 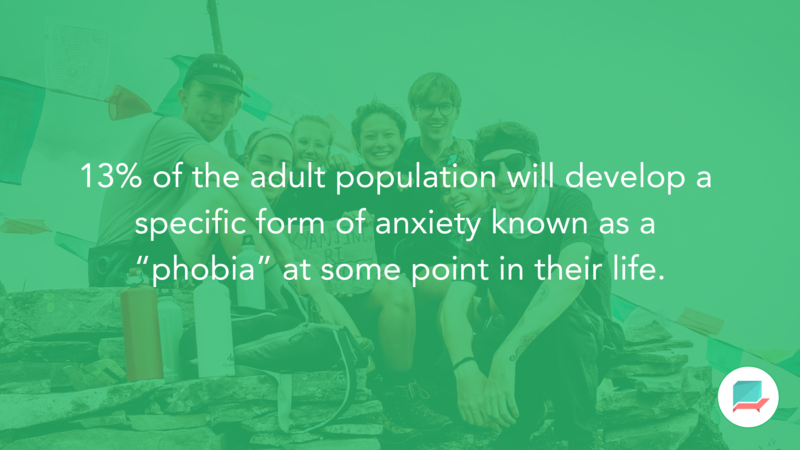 Anxiety doesn’t only target those with existing mental health conditions, according to academic research into anxiety disorders, 13% of the adult population will develop a specific form of anxiety known as a “phobia” at some point in their life. There are many types of anxiety, seven of them are documented here, that affect people every single day. Anxiety affects people of all ages making it a condition that doesn’t discriminate. Anxiety is brought on by many different things, the most common are; stress, physical factors, environment, biochemical imbalances and in some cases genetic conditions. Anxiety is a normal condition and something the majority of people come across as they go about their day. In work and life situations, anxiety can prove useful to our goals, but not in its chronic form. Anxiety is a treatable condition, thanks to a range of therapy, meditation and self-care. One of the most accessible treatments right now is mindfulness. Mindfulness helps us to practice relaxation techniques that help slow breathing, rewire your thinking and bring down symptoms of anxiety. Meditation is one of the most popular anxiety relievers and becoming more and more recommended as time goes on. Uncovering anxiety remedies is important. And meditation is one of those. There are plenty of scientific benefits of mindfulness and meditation that scientists are still uncovering, even that meditation has age-reversing effects. Meditation is used as an element of treatment for anxiety can be very effective. The research points to short sessions on a regular basis to reducing many of the psychological effects of anxiety as well as improving your condition. For those suffering from chronic stress or anxiety, meditation alone might not treat the condition. Alongside the likes of therapy, medical treatment and other self-care practices, meditation stands as a strong resource to adopt. For students, in particular, time management stress can cause huge amounts of anxiety and if untreated can lead to more intense anxiety issues, depression or even contemplation of suicide. Before we explore how to use meditation to tackle your anxiety, let’s explore the rise of meditation resources in the space right now. Within the last 2 years, the mindfulness space has risen dramatically. Self-care applications are on the rise. There are now 1,000s of applications on both major App Stores to choose from. Meditation applications have been one of the biggest options. It’s not just meditation applications. There is content coming from YouTube, podcasts, online courses on Skillshare and other such platforms that you can choose from. The reason why we recommend meditation applications is thanks to the structure of the lessons, the portability of the resource and the option of using the tools offline (if you’ve downloaded the right classes beforehand). Podcasts, YouTube channels and applications are all in the hunt for helping you get started on meditation. Naturally, all of them working well to help you with a meditation session. One of our recommendations is to not commit immediately to one of these methods. Thanks to the countless options, you have a choice of resources at your fingertips. There’s a new meditation application uploaded every single day and the majority of them are paid resources, so making sure you understand what you need before you commit to paying for the resources is important. The majority of these meditation applications have both guided and non-guided meditation options included, this is something we’ll uncover in the next section. Let’s get started with your first meditation. Meditation will take time to master. And equally, tackling your anxiety demands patience. There are endless ways that anxiety affects daily routine that can have a damaging effect, so introducing healthy practices will beat your chances of success. Your environment will help you to get comfortable with your meditation. Whether that’s a spare office at work or your lounge sofa, you need to begin by sitting comfortably. Some people sit on a cushion on the floor as a way to start their practice. It’s up to you. Sessions should be personal to you. No interruptions. 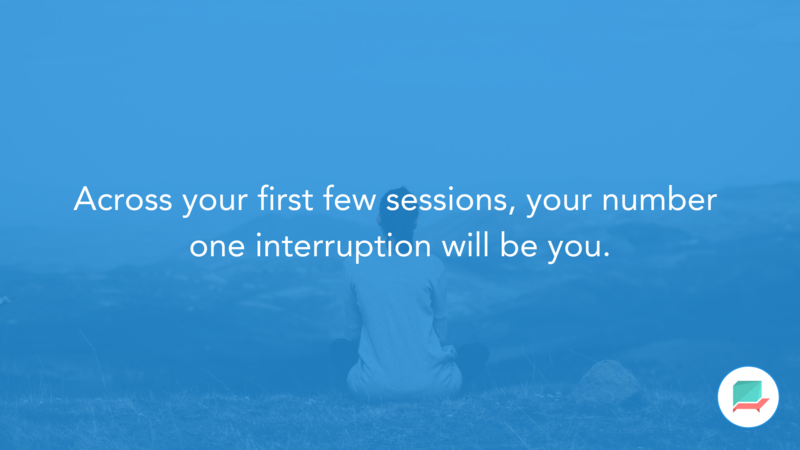 Across your first few sessions, your number one interruption will be you. As you meditate for the first time, you are bound to get uncomfortable. So avoid anyone interrupting you. Let your colleagues know and keep everyone out of the room from walking around. Whatever you go with, begin your session. There are two traditional methods to choose from, guided and unguided meditation. Guided is a good starting point. Guided will be a spoken meditation and help you to begin your first session with a focus. As you understand and get more comfortable, you can add unguided. Session length doesn’t have to be too long. 5-minutes or 10-minutes is suitable for your first time. The goal is to try and get into a healthy routine not make it a daunting 30-minute intense meditation. As you grow your practice, you can add length to sessions, only if you see value in this additional time. Post-meditation you don’t have to spring up and head straight back to your laptop or iPhone. No. You can just pause and relax after a session. This will allow you to reflect on how well you did, or what thoughts distracted you during your initial session. The goal is consistency. There’s no such thing as a perfect meditation for everyone. Our recommendation is to make your practice your own. Create the ideal time length, use the tools you feel most suitable with and review what could make each session better each time. One of the best ways to improve your practice brings it up as a discussion with friends or family. Thanks to the wave of meditation in the west, you’ll be surprised who uses it without the goal of curing anxiety. Using your journal can be a useful way to extend your practice and kill two birds with one stone. The journal will help to reduce stress and express what you felt during your meditation session. A short journal session added to your meditation will help to reduce feelings of anxiety and express some of your most stressful feelings in a peaceful setting. First timer to journaling?! Here are 50 journal prompts to get you started! Local classes can be a good way to get started. Avoiding the 21st-century route of applications or podcasts, you can head to your local Buddhist centre for a session. You can find many sessions listed online or on your local community boards. Sessions like these can help you get started and help you meet people like-minded using meditation as an anxiety reducer. Results can take anywhere between one meditation to one hundred meditations. Meditation is a unique journey. Those suffering anxiety will need to use it alongside other healthy self-care practices and therapy sessions. The best way to find out is trying it yourself. There are stories of people using it for 3-4 weeks and not needing any more treatment thanks to the refreshing benefits of meditation for your anxiety. Others have taken longer to adopt and embed into their routine. But once used in a routine fashion have fallen in love with meditation as a way to get a much-needed break. Let us know in the comments whether you’ve used meditation to curb your anxiety and how you’ve gone about approaching meditation. Do you use any apps? Do you have any podcast recommendations? Let us know below. 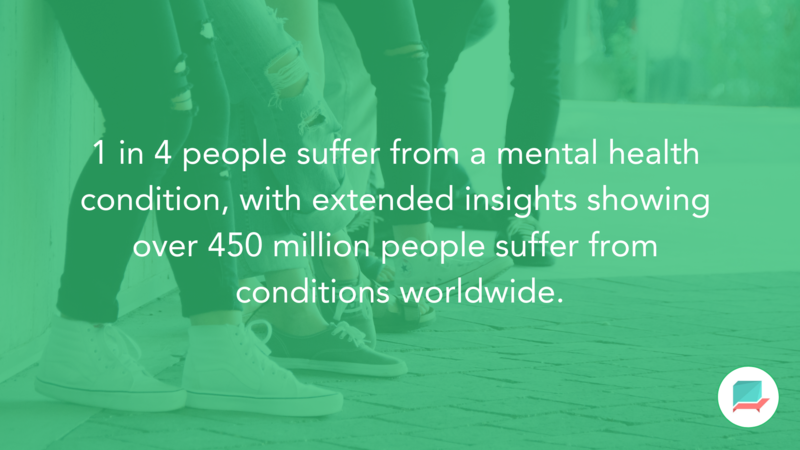 According to the World Health Organisation in 2001, one in four people suffer from a mental health condition, with extended insights showing over 450 million people suffer from conditions worldwide. Since 2001, many researchers believe these figures to have risen dramatically. Despite the rise in mental health conditions, thanks to a host of tools such as campaigns, social media and face-to-face support, the stigma around mental health have been slowly breaking down. Schools, workplaces and factories across the globe are embracing healthier practices to reduce stress and anxiety and the conversation is much more open than it was 10 years ago thanks to the damaging effects on our society so far. The art of speaking about mental health is one that is not yet mastered in all of us. A tricky subject to kickstart and one that leaves many on edge. Group therapy activities have been an interactive way to kickstart healthy conversations around mental health. In this article, we’ll discuss the nature of group therapy, the benefits, and how to use group therapy activities to positively talk about mental health with friends, family members or colleagues. 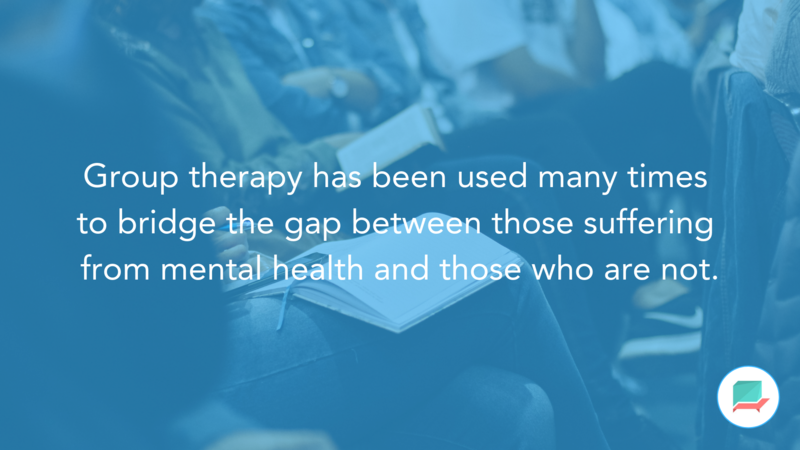 Group therapy has been used many times to bridge the gap between those suffering from mental health and those who are not. Traditionally, group therapy is coordinated between the sufferer and a therapist or a licensed counsellor. However, there are various ways you can embrace group therapy activities in your daily routine, we’ve shortlisted some fun, interactive games and icebreakers to use with your friends and those suffering from the condition to help warm up the conversation and bring support to sufferers close to us. There are many benefits to using group talk therapy. Group therapy can teach you about yourself and provide you with a strong dose of social skills. Less Intense – One to one therapy can be very invasive for those new to therapy. The intensity of one to one interaction with a therapist might feel daunting, whilst the inviting circle of friends and family could be a more welcomed starting point. Safe Environment – Friends and family can sometimes be the best people to help tackle your condition. They know you best. Allowing them to be involved will also help them come to terms with your struggles and needs. 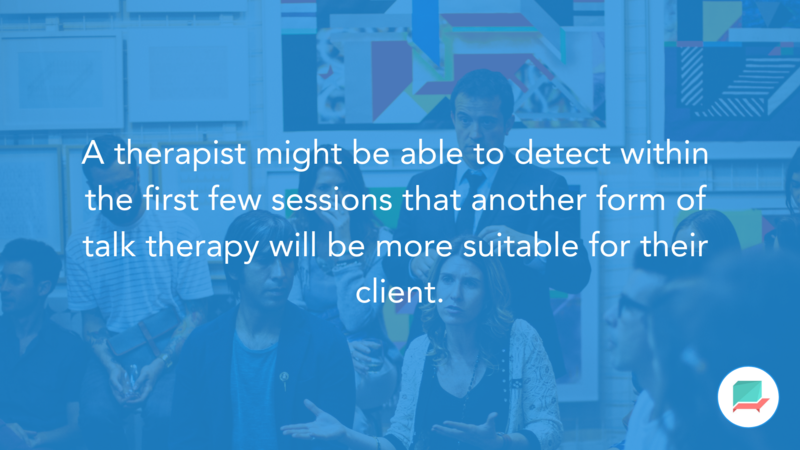 Cost-Effective – Paying for a therapist upfront can be a big investment for many, without the test run of group therapy activities with friends, you might not know whether this is able to help reduce your conditions symptoms. Please note, this is only advice and does not extend as medical advice. Icebreakers – For new friends that could have a stigma around mental health, these activities can be a great icebreaker. Getting to know people and helping them to understand what your facing will only make things easier for all parties. These are just some of the benefits that embracing group therapy has helped. There are plenty of stories of friendships that have support mental health with happy endings. Why Therapy Activities Can Help Young People? The world of social media has connected us with over 2bn other people around the globe. From Calcutta to Edinburgh, the internet opens up the conversation, but for many young people, they feel more alone than ever. With all this noise and constant competition to keep relevant, they feel out of the loop and many lack social communication skills that can help them tackle conditions such as anxiety and stress. The therapy activities help to break down complex feelings and emotions and to discuss them amongst a group that you feel safe with. All of the group therapy activities recommended below are for all ages. These activities can be extremely useful for young people looking to take part in more social challenges and tackle their own concerns and mental health. Not sure who to recruit first or super eager to get started?! That’s awesome. We’d like to recommend an activity tool you can use on your own. 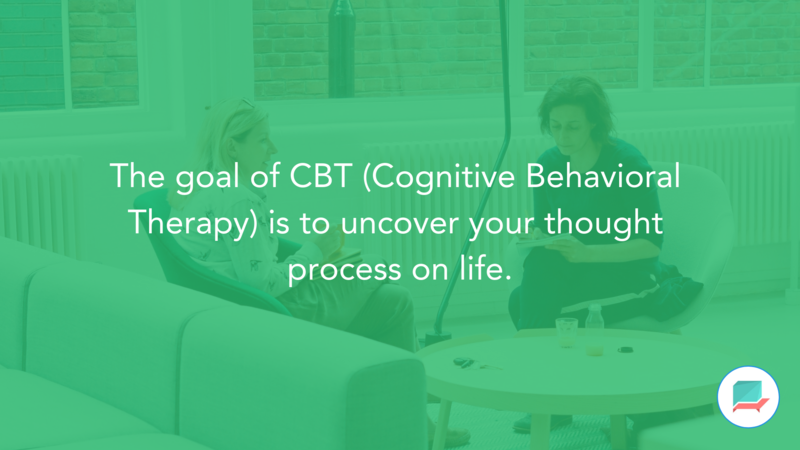 Our app, Therachat helps thousands of people on a daily basis to uncover their mental health condition with a range of helpful therapy worksheets. Worksheets are an insightful way to build your personal practices and make progress. They range from understanding your self-confidence, exploring your emotions, taming your anger, amping your assertiveness and embracing self-compassion. Try it out for free today on iOS and Android! Very similar to the UK TV programme, “Would I Lie To You” this group therapy activity is fun for a small group of friends or even family members (although, it could be easier with friends). The goal is to create three facts about yourself, with one being a lie and the other two truthful. The team have to guess which facts are correct and which are false as they go around the circle. This activity is fun and will get you laughing for sure. But most importantly it helps to get you sharing as the perfect ice-breaking game for new friends. Remember you can really make this fun by drawing out all of the crazy facts about your life. Uncovering your world and what has happened to you in the past can help others to empathise with you and bring up the topic of your mental health in a not so obvious manner. Not only an icebreaker but the perfect way to catch up with friends. Set a cake recipe in front of one person. From a recipe for the other person’s choice, this is the best way to get everyone together, working together. The other person must instruct, but not touch the other person. Please note, you may need to clean the kitchen afterwards, there’s no doubt it’ll get messy and make sure you aren’t involving knives or sharp objects. Over a cooking session, you might be able to share your emotions, feelings, thoughts or help express some of the stress that comes along with your condition. This hilarious activity can quickly turn into an excellent form of talk therapy in a group and build trust between everyone. 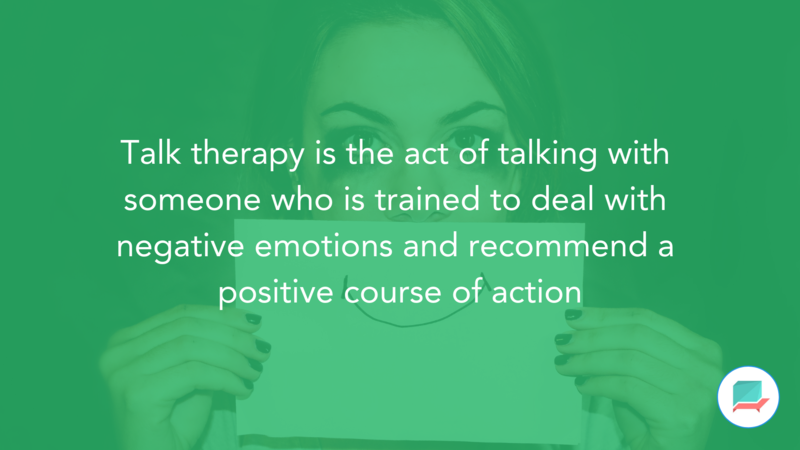 Talk therapy can be very helpful for discussing and thinking out the symptoms and issues in your condition. Adult coloring books are all the rage right now. Take part in a group coloring challenge. Begin by organizing a day and time to visit a coffee shop. Instruct everyone not bring their smartphones or if they do, to have them switched off on entry. The challenge begins by writing down a prompt on a piece of paper for a drawing. This could be anything, an animal or a member of the group, your grandma, whatever! Each of the team submits their slip of paper. At random, the group pick out a slip of paper and color or draw the stated item on the paper. The results will then be revealed all at the same time. The game is a funny one and commonly sparks healthy conversation and the perfect time away from the stress of your phone. For mental health, the use of coloring books has risen in the last few years, thanks to research pointing to the success of the practice in helping to reduce anxiety and calm mental health conditions. In a similar way, the “fear in a hat” game is a good way to reveal your group members’ fear in a fun trust-building game. Each team member gets a slip of paper. On the paper, they write out their deepest darkest fear. Entering all of the fears into a hat. This typically helps conversations begin about the fear itself and why that fear begin for them. This game has become a smart way to break down barriers and discuss what matters. This trust-based game will help you to uncover what fears people face and open the floor to how they handle this and whether they are currently facing these fears on a daily basis. Fears can trigger conditions and grow into mental health problems if not addressed. Ask all of the group members to come up with their three favourite animals. From this, the group needs to write down the name of the animal and three qualities each animal has that you appreciate. The first, second and third animal represents how you want to see people, how you see others, and who you really are. Going around in a circle, you then reveal the traits of your animal and why you agree to discuss with the thoughts. To round this off, everyone must end the exercise by drawing a merge of the three animals. This is a relaxed, fun way to end the session and help reflect on the discussion learnings. Reflecting is important for your mental health, overviewing why you made those decisions will help to produce insights and learn about yourself in a constructive manner. Let us know in the comments below about the exercises that you’ve done with your friends or family that has helped to improve your mental health or promoted healthy discussions.